Classes start September 4th. Open Enrollment all year long. DESIGNED SPECIFICALLY FOR BOYS, AND TAUGHT BY A MALE TEACHER. STUDY THE MANY ASPECTS OF THEATER ARTS SUCH AS: ACTING, IMPROVISATION, CHARACTER INTERPRETATION AND MORE. CONNECT THE MIND AND BODY THROUGH EXPRESSIVE, FLUID DANCE MOVEMENTS FROM MODERN, JAZZ, LYRICAL AND CLASSICAL BALLET. We’re not just another Dance Studio … we’re Art In Motion! KCPA is recognized as a non-profit educational conservatory with the focus of instructing students of all ages and abilities in various disciplines of the performing arts. Our directors have master’s degrees or equivalent. Our president and director of theater, our director of dance, and our director of music have a combined teaching experience of more than 70 years. To learn how you can help support the Arts and our scholarship fund, click on “Donations“. We desire to educate our students in a non-competitive fun and loving environment that promotes excellence, self-confidence and self- discipline. 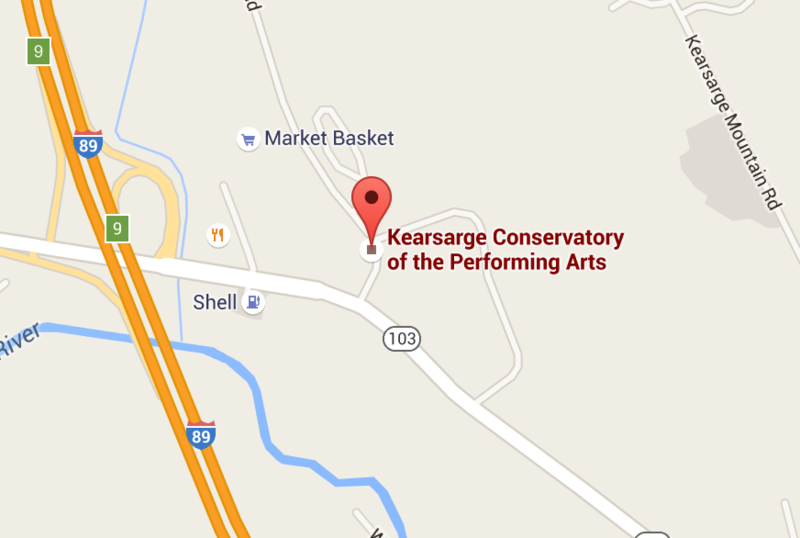 We work with and perform for local community events to encourage harmony and good will within the Kearsarge area. It is our mission and passion to teach and train students from all walks of life. These Photos are all of our very own KCPA Students during a live performance! I recently had the pleasure of observing a number of classes at KCPA as I was taping footage for a series of interviews we were doing for The Kearsarge Chronicle, a local television show highlighting local businesses and non-profits. Having spent some time in dance and performance studios myself when my oldest daughter was in the field, I was impressed time and time again by both the staff and the students. I saw the teachers keep command and interest throughout the duration of every class session. The instructors were in tune with each student, making a gentle correction here and there, and giving plenty of encouragement along the way. The students, likewise, had wonderful attention to their teachers. You could see the respect the students had for their instructors. The exercises and performances I witnessed were impressive as well! What a great selection of classes and disciplines. I saw older students on pointe and the littlest ones learning how their bodies move with simple tumbling and balance exercises. I particularly enjoyed a piece that was choreographed by a high school senior, herself a student instructor at the conservatory. The voice and acting classes were top notch. Most students take acting as part of their training to help them express themselves best on stage. This is a wonderful compliment to the dance and voice training at KCPA. And Angela…well you can see, through her leadership, why this conservatory has become such a wonderful place for performers of all ages to grow and develop their skills. It is obvious that she is adored by her staff and students. We are very lucky to have such a performing arts school in our midst.